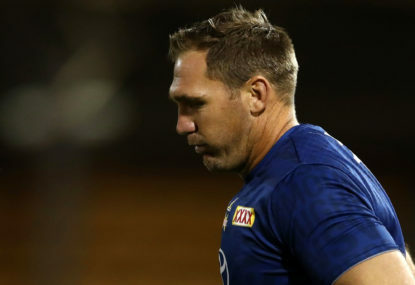 On Monday, North Queensland Cowboys player Scott Bolton appeared in Waverley Local Court for touching a woman on her upper thigh at a bar in Bondi last May. Initially, Bolton faced a charge of assault with an act of indecency, but after negotiations, he pleaded guilty to the lesser charge of common assault. The 31-year-old escaped conviction but the magistrate sentenced him to a good behaviour bond, noting that he deserved no leniency or special treatment for his status as a rugby league player. Additionally, while acknowledging Bolton had “come under the scrutiny of no doubt his family, club officials, the media and no doubt the public” the magistrate also made the point “it can’t be forgotten that Mr Bolton put himself in the spotlight by committing an offence”. Following sentencing, Bolton released a statement apologising for his behaviour and the stress it has caused to his family, the woman assaulted, his teammates, his club and rugby league fans. 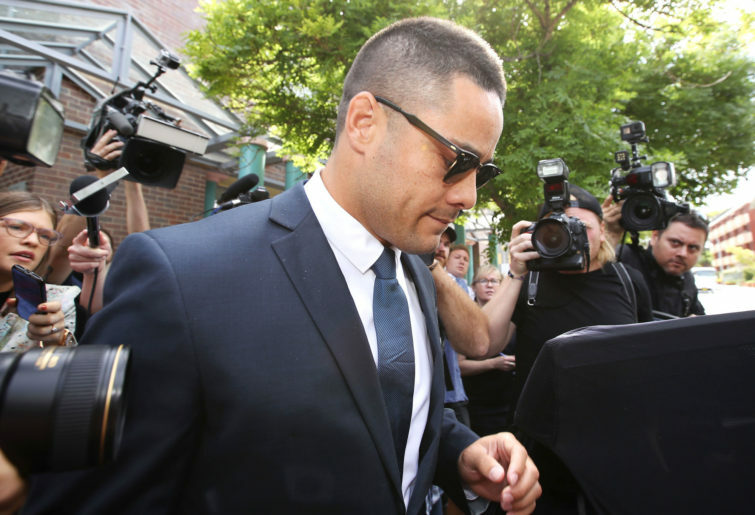 Bolton’s sentence is just the beginning of what will be a challenging period for the NRL, given the number of alleged incidents which happened late last year, involving the likes of Jarryd Hayne, Dylan Walker and Jack de Belin. In the next couple of months, each of these players will face court (if they have not already done so). Leading into the Christmas period, there was plenty of commentary regarding domestic violence, assault and sexual assault. This led to Peter Beattie and Todd Greenberg signalling their intention to come down hard on any players convicted, as well as expressing their disappointment in the number of alleged incidents. 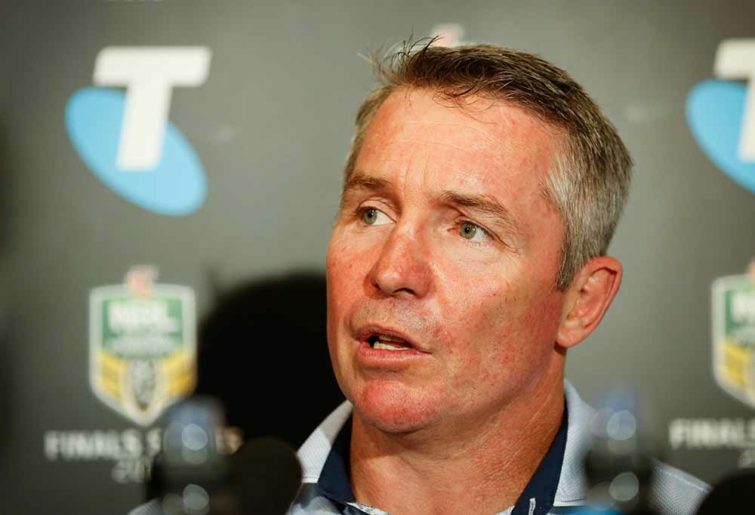 The Australian Rugby League Commission also announced that they would undertake an audit of how club leaders handle off-field incidents and that Commissioner Megan Davis would lead an audit of the current education and wellbeing programs focused on violence against women conducted via the NRL, community partners like the Full Stop Foundation, and the clubs themselves. Regardless, player behaviour – particularly in relation to respectful relationships – is a priority for the NRL, recognising players as role models and representatives of one of Australia’s most popular competitions. This is why so much training and education is provided at all levels of the game. But back to Bolton, the Cowboys also made comment following his sentencing, the contents of which I found troublesome, so hope that their response is included in the NRL’s audit. Coach Paul Green intimated the club will employ minders for their players, so that there are extra safety measures when they go out socially. “It’s having people there (minders), it’s making sure we have people looking out for each other,” Green said. Minders? Are you serious? This idea makes my stomach flip. How can we possibly expect our players to behave as adults when we treat them like children? When did we get to the point where grown men (and Bolton is certainly one of the older members of his team) need minders to help them understand what is acceptable behaviour in social situations? This suggestion is deeply concerning – by doing so, we reduce player responsibility and suggest that they need to be ‘babysat’. Part of being an adult is taking responsibility for your behaviour and, quite frankly, I’m disappointed that messages about respectful relationships don’t seem to be getting through to some players. Additionally, I found Green’s comments confusing. Apparently, minders are necessary because “unfortunately it’s the world we live in these days” and that steps need to be taken “to make sure that when we do go out in public it’s a safe environment for everyone”. We live in a world where any sort of assault – whether that be common, indecent or sexual – is completely inappropriate and those who commit these acts are subject to consequences. We may not have always lived in this world, but the world I want to live in is one where men and women can go into public dressed how they like, behaving how they like (within reason of course) without that being an invitation for another person to assault them. We do not live in a world where adults need minders. When I read about these sorts of incidents, my response is always the same. The standards that we expect of those in the public eye is not over and above what is expected of the common individual. The expectation is simply that they act like decent human beings. If a person in the public eye does not act like a decent human being, the consequences may be greater than for an ordinary person, but the standard is still the same. And if minders need to be employed to remind players that they should not assault other people, then the situation is far more dire than I thought.